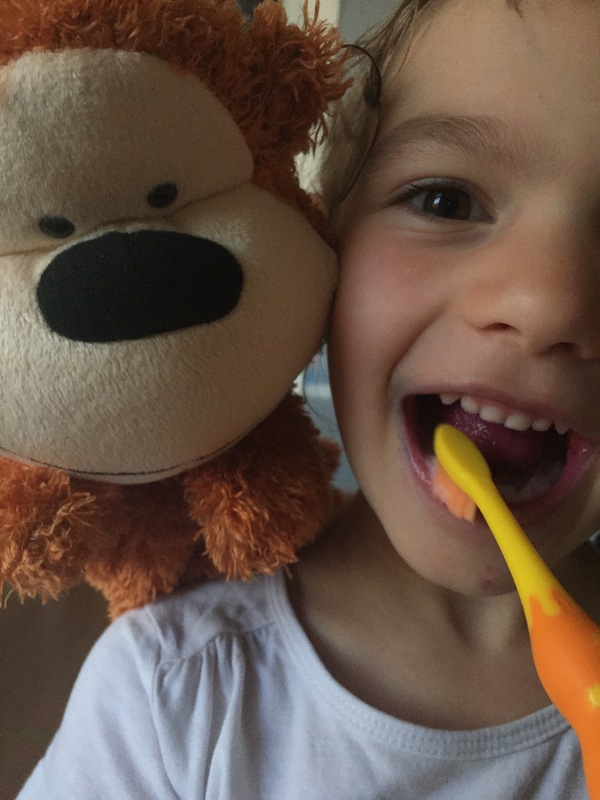 I had the pleasure of meeting Helen and Monkey from Monkey Wellbeing at BritMums Live 2015 and Monkey has come to my house over summer to help Tori and Arthur learn about their teeth and how to keep them healthy. The dental pack came with a Healthy Teeth activity guide with stickers, a story book about Monkey’s family visiting the dentist, reward stickers and chart, a well done certificate, a little pack containing a toothbrush, egg timer and two disclosure tablets and, of course, a Monkey handpuppet. The activity guide is slightly too advanced for Arthur (who is four) but Tori (six) loved it and really enjoyed reading it and completing the activities inside. 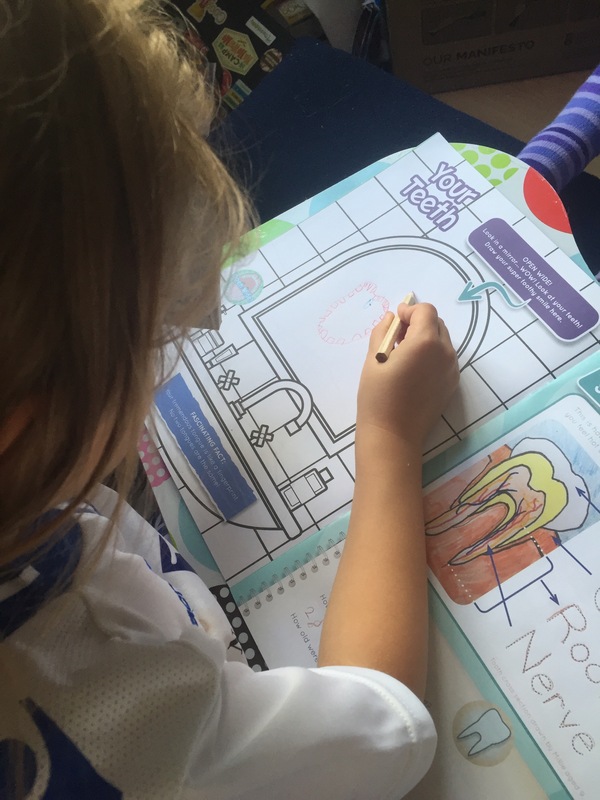 From matching stickers to dot-to-dots and drawing a picture of her own teeth, the activities through the book helped her to process and take in the information better than if it had just been an information booklet. The subject of tooth decay and the consequences of not taking care of your teeth are sensitively handled in a way that clearly got the message across without being scary or full of over-dramatic horror stories. Tori was left telling me sensibly about how she needs to brush her teeth after eating sugary foods like chocolate, rather than saying: ‘If I eat chocolate all my teeth will fall out. Chocolate is naughty.’ Which I have heard from her in the past after ‘healthy eating’ sessions at school. 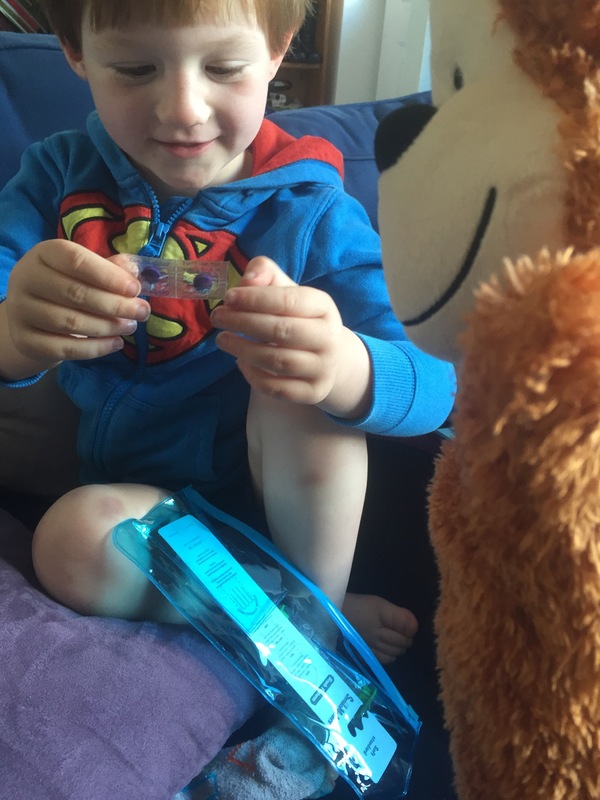 After reading the story, Monkey produced the dental pack and gave it to Arthur and Tori helped me to explain to him about the dislosing tablets and what they were for – Arthur could hardly wait for bed time to give it a go! Both Tori and Arthur were fascinated by the effect of the disclosing tablets and there was much hilarity as they showed off their purple tongues and teeth to Monkey and I before we got down to business, setting the timer and scrubbing those purple toothy pegs! Both Tori and Arthur were surprised how much scrubbing it took to get the purple off their teeth and they have promised Monkey that they will use the new timer every time they brush their teeth now to make sure they get them properly clean. 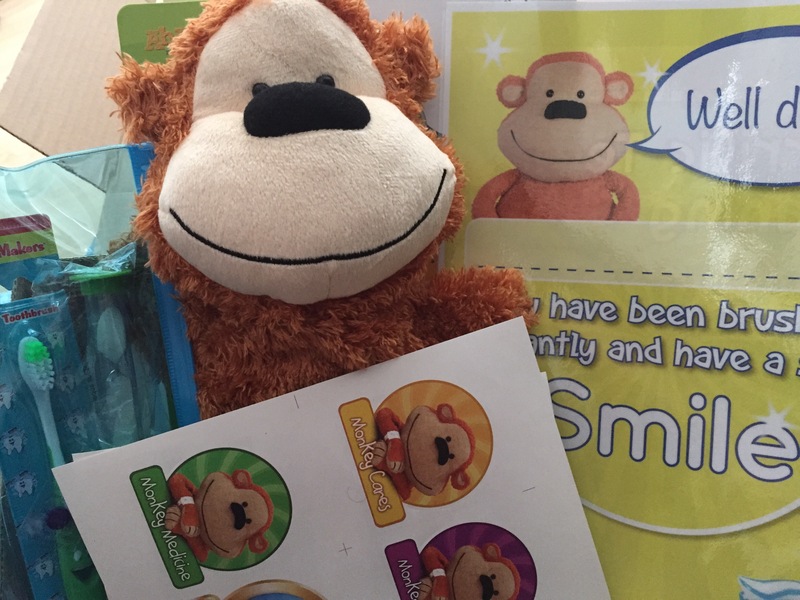 The Monkey Wellbeing Dental Pack is a brilliant way of encouraging kids to brush their teeth whilst teaching them about why it is so important to do. The information about visiting the dentist is great for dispelling any fears they may have about it, too. 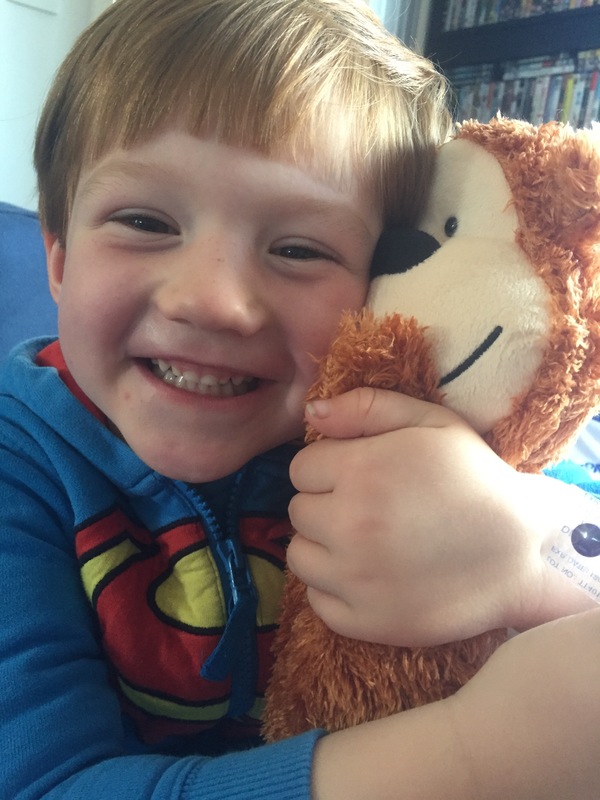 Monkey is Tori and Arthur’s new best friend so Arthur is going to be super excited when Monkey shares his Starting School Pack with him too ready for the start of his first term! Next Post I am not fine. It is not okay.